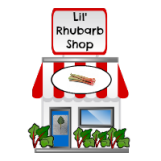 A website visitor sent me this Amazing Rhubarb Cake Recipe complete with photos! 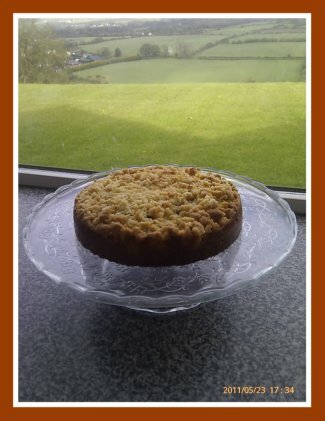 Catherine writes: "...I was given LOTS of rhubarb today so looking forward to baking lots of squishy rhubarb cake with crumble topping..."
This cake looks picture perfect, just like the beautiful view from Catherine's Kitchen window(! ), and I am sure it tastes scrumptious too! Thanks Catherine!, now others can enjoy this recipe too! 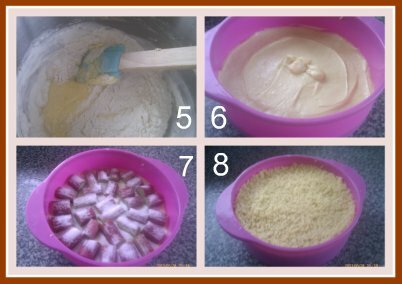 Note - Catherine used a silicone baking dish for this rhubarb cake recipe. An 8" round spring-form pan, (with 2" sides), would work great too. I must admit I have never used silicone baking products, so I asked Catherine how she likes using silicone baking products. Catherine's answer was: "... as regards silicone - "I'm sold on them ... No need to grease before baking and they keep their shape much better. 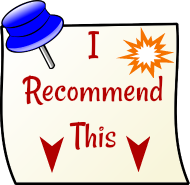 I would suggest buying one to try out and seeing what you think." So, I will definitely be trying these products soon! In a bowl mix the butter and the flour, and then add the sugar, and mix well to combine into crumble (pic #1). In a larger bowl, using an electric hand mixer, cream the butter until soft (pic #2). Lightly beat the two eggs, and add them to the mixture, folding in a little at a time, (folding in a spoonful of flour if the mixture curdles) (pic #4). 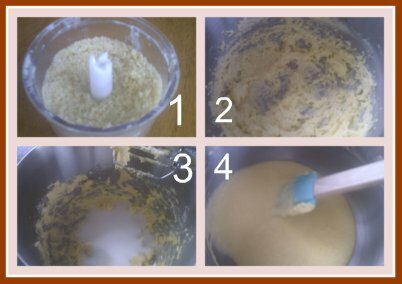 Fold in the flour, and if mixture is too stiff (it should be of a "dropping" consistency, then add a few drops of milk (pic #5). Cover the top of the batter with the rhubarb pieces, and sprinkle with the 1 tbsp. of sugar (pic #7). Cover the top with the crumble mixture (pic #8). Bake at 375° F (190C/gas mark 5) for 45 minutes, or until the top feels firm. Allow to cool in baking dish. 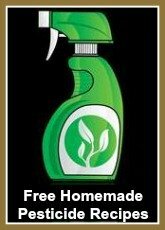 Remove when cooled, and serve (pic #9). Here (below) are Silicone Baking Dishes available for online purchase at *Amazon.com.